Vienna was an intellectual powerhouse in the early 20th Century and two male artists are considered the giants of Viennese modernism: Gustav Klimt and Egon Schiele. But Vienna's Belvedere Museum is now showcasing the long-neglected contribution of women artists in that period. 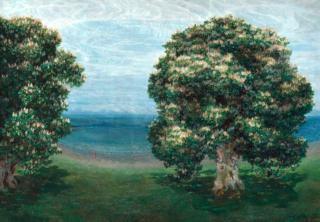 City of Women displays works by about 60 female artists, covering the years 1900-1938. Some works had been hidden away in attics and storerooms gathering dust. The Belvedere's artistic director, Stella Rollig, says these artists "were and still are a great inspiration, and their works have been wrongly ignored for almost a century". 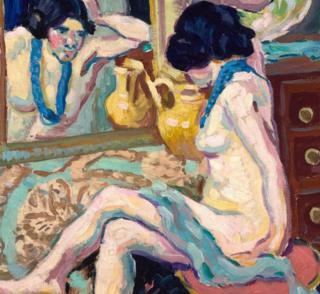 It was hard for female artists to break through, even before the Nazis condemned modernism as "degenerate". Vienna's Academy of Fine Arts did not open its doors to women students until 1920. Ambitious women artists often had to pay high fees to private teachers. 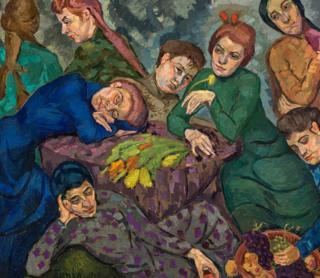 Frustrated by male prejudice, a group of women founded the Austrian Association of Women Artists (VBKÖ) in 1910. A major female contributor to Viennese modernism was Broncia Koller-Pinell. In the early 20th Century she was praised by critics and fellow artists in Vienna and internationally. 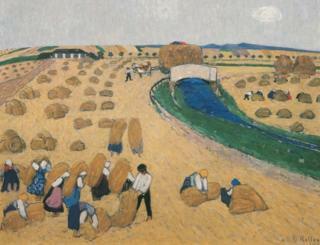 Her 1908 landscape The Harvest - showing French Impressionist influence - is among her works displayed at the Belvedere. She had influence in intellectual circles; for example, she knew Klimt and Schiele, both of whom included female artists in exhibitions. After her death in 1934, with Nazi Germany's ascendancy, her reputation was largely forgotten. 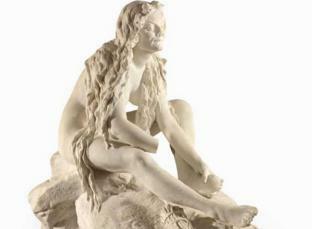 A life-size marble sculpture called Witch Doing Her Toilette on Walpurgis Night caused a sensation when first exhibited in Vienna in 1896. Some critics saw the witch's expression as too lustful, and accused artist Teresa Feodorowna Ries of using a noble stone to create a vulgar grimace. But Ries had some prominent admirers, including the great Viennese novelist Stefan Zweig. In 1938 Nazi stormtroopers ransacked Ries's studio and in 1942 she fled from Austria, but had to leave all her works in Switzerland. Is this your family's lost 'Nazi art'? Elena Luksch-Makowsky's self-portrait with her little boy - called Ver Sacrum - looks a picture of innocence. But the 1902 work was controversial. The working mother's pose recalls the Madonna and Child theme of countless classical artists. Here the artist wears her painter's overalls - yet women at that time were expected to concentrate on raising their children. Some of her paintings were exhibited in France alongside works by Matisse, Braque and Vlaminck. From 1911 until her death in 1957 she lived in Vienna. She enjoyed artistic success until the Nazi annexation of Austria in 1938. She lived as a recluse during the war. Funke's reputation was not properly restored until an exhibition in Linz showcased her work in 2007. Friedl Dicker was a left-wing Jewish artist who expressed her horror at Nazi abuses in several works, notably in Interrogation I and II, painted in the 1930s. She was interrogated and during World War Two died in the Holocaust. The Nazis deported her to Theresienstadt concentration camp in 1942, where she managed to give art classes to Jewish children. But later she was murdered in Auschwitz, along with more than a million other Jews. 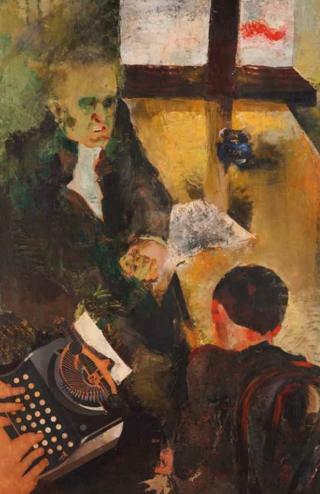 Ilse Twardowski-Conrat was another Jewish artist persecuted by the Nazis in Vienna. 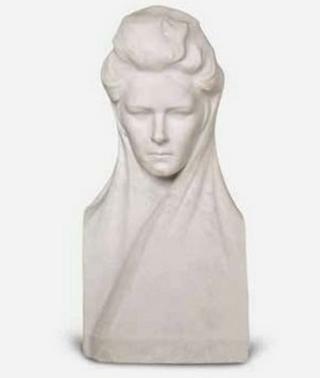 The sculptor destroyed her biggest works and committed suicide in 1942, after she was ordered to report to the Jewish community with her possessions. Her works were exhibited at major shows before the Nazi period. They include a bust of Empress Elisabeth of Austria (1837-1898). She spent her youth in intellectual circles and knew the composers Johannes Brahms and Gustav Mahler personally. The City of Women exhibition runs at the Belvedere from 25 January to 19 May.